This is Part 4 of Esther’s poetry series on Anne Boleyn’s life. She wrote to her nephew Charles V, to ask to have her case judged in Rome. She tried to be strong, but Queen Catherine broke down into floods of tears. She had to leave the King and his court and almost face death at Hever. 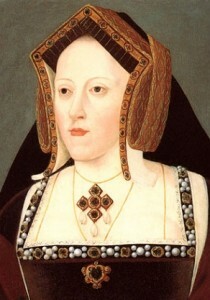 But it was believed that a French princess would be England’s future Queen. In July 1527, Wolsey went to France unaware of the girl he had treated so wrong. For the Pope was Charles V’s prisoner and Rome had been sacked. To ask for a second marriage’s dispensation, giving him some hope. For the King’s passionate affections were not for a French princess. Who although only a woman, a ‘silly girl’, had the heart of a dangerous man. And in February 1528, Wolsey sent to ardent lawyers to Rome. But now this was destined to become the ‘King’s great matter’. Something to give him joy and hope and help his spirits to lift. Click here to read Part 5 of Esther’s poetry series “Lady Anne”.